Pre-Diabetes has taken it’s toll on many Americans today. In this short video, Dr. Rob shares the 6 warning signs that may affect you and someone you love. Listen up. Pre-Diabetes has taken it’s toll on many Americans today. Diabetes is a disease that affects over 29 million Americans. In it’s later stages it has horrible symptoms such as, kidney failure, severe numbness and leg pain, loss of balance, obesity, loss of vision and other secondary health problems. However, Web MD states that there are plenty of things that can be done to prevent Type II diabetes. 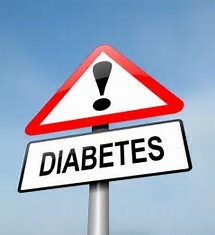 In fact there are 6 major warning signs that a person could get to let them know that diabetes is on the way. These warning signs make up a condition called prediabetes and it means exactly what is says. It is a condition of the body when it is close to getting diabetes but not actually there. The prediabetic is also called the insulin resistant patient. Insulin is the hormone that helps to regulate blood sugar. When a person eats too much sugar or white carbohydrates the insulin in their body starts to not work as well. This causes the body to have to make more insulin to properly lower the blood sugar. Eventually the body becomes so resistant to insulin that the person’s naturally produced insulin can’t regulate the blood sugar thus creating a constant state of high blood sugar AKA diabetes. Often there are medications that are used to help the Type II diabetic, however, they come with their own set of side effects. The 6 Warning Signs that you may be prediabetic or insulin resistant are essential for everyone to know. The signs can tip you off to the fact that the diabetic state is close to becoming a real problem for you. Especially if you have a family history of this condition or are having trouble losing weight this information is important for you to have. So watch the video and gain a good understanding of the 6 Warning Signs that you may be prediabetic and share this with a friend.